Our Visualization of the Week comes from GOOD magazine, profiling New York City-based designer Lauren Manning‘s data visualization. 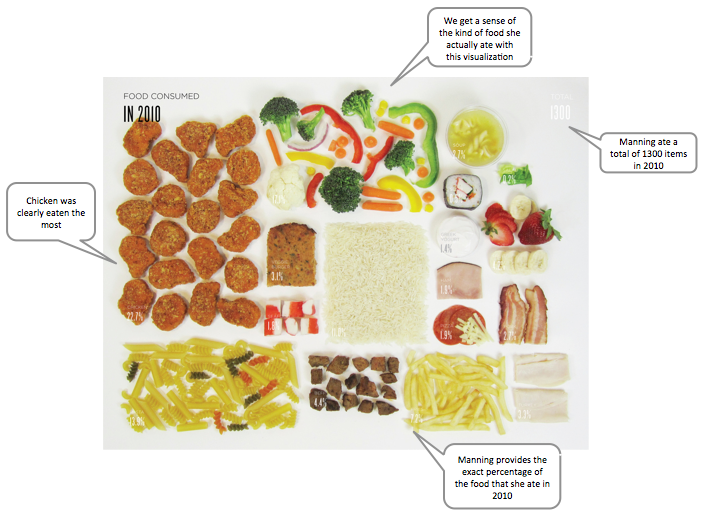 She kept track of all the food she consumed for a year, and then used 40 graphs and charts to visualize the data she collected as part of her thesis. Each visualization method emphasizes a different aspect of her data, be it the proportion of the kind of food eaten throughout the year, or the amount of each food she ate in a given month. 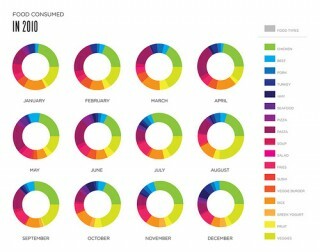 The graphs take various shapes and colors, as part of Manning’s project investigated what types of visualizations audiences responded to best. 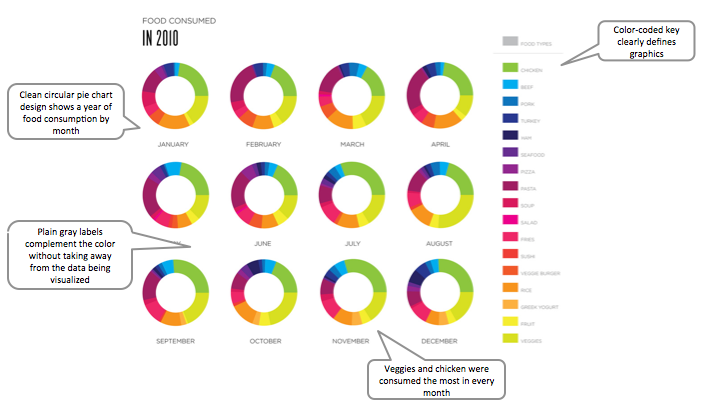 The colorcoding system makes her food choices clear and comprehensible – for example, she ate a great deal of veggies (light green) and chicken (dark green) every month. 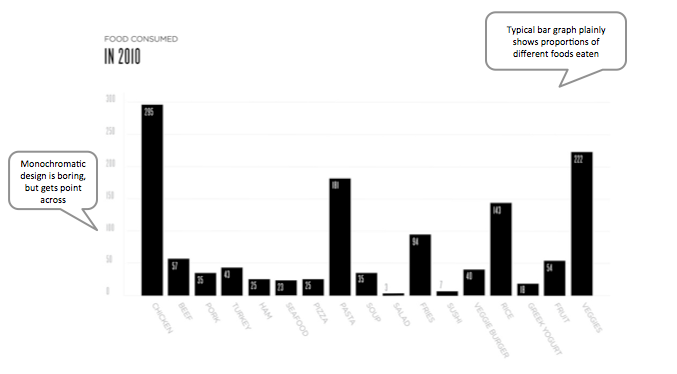 Check out Manning’s flicker site to see the rest of her visualizations. Which do you prefer?